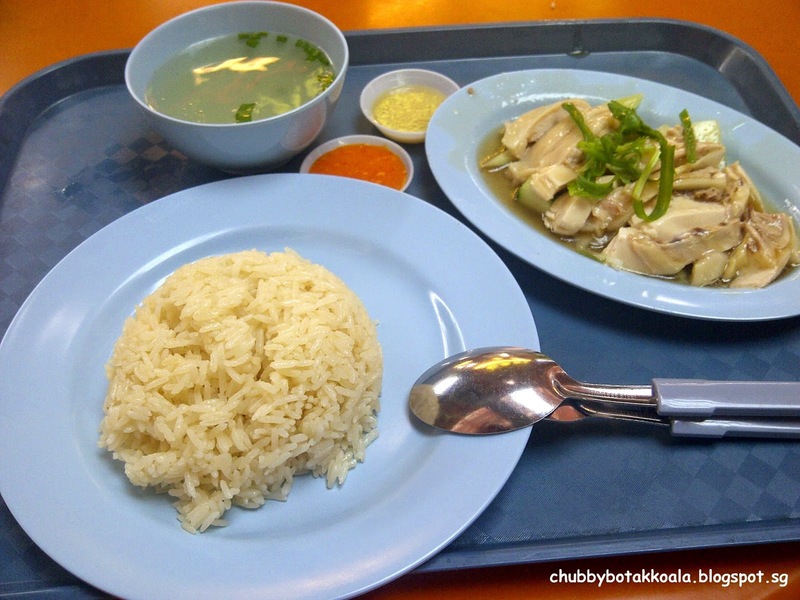 Chubby Botak Koala - Singapore Food Blog, Travel and Lifestyle: Ah Tai Hainanese Chicken Rice – Let the Maxwell Chicken Rice War Begin! 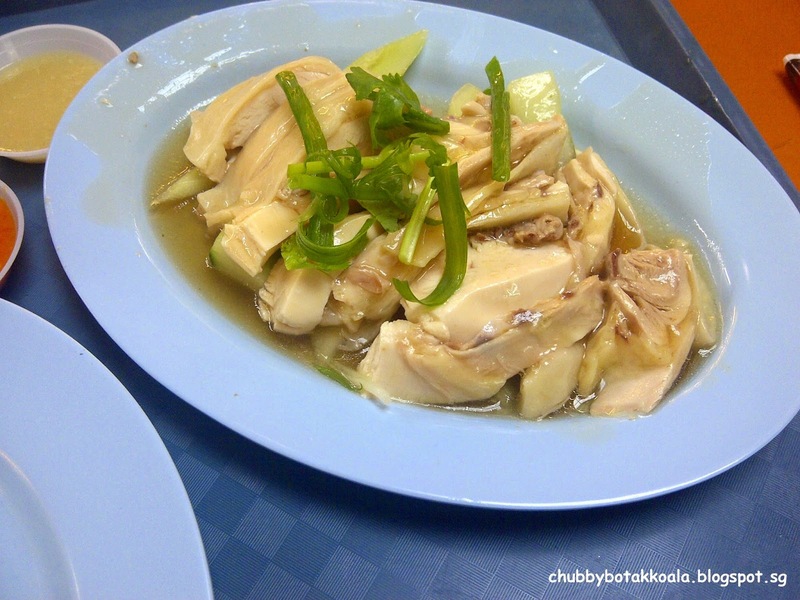 Ah Tai Hainanese Chicken Rice – Let the Maxwell Chicken Rice War Begin! Earlier this year, The Sunday Times brought us the story of Chicken Rice war. 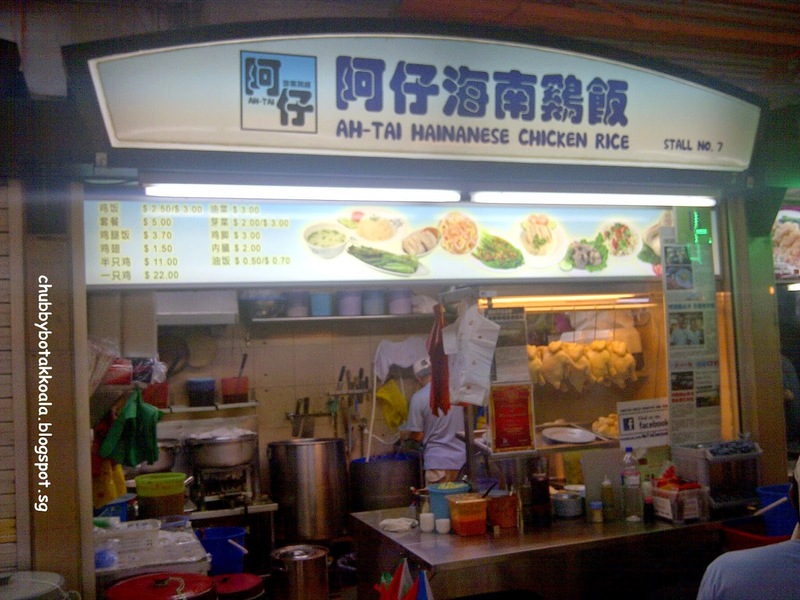 The famous Tian Tian Chicken Rice Chef has set up his own Chicken Rice Stall a few stalls away from Tian Tian. Worldly recognise as one of the best Chicken Rice stall in Singapore or some even consider the best of the best, this story of course attracts everybody's attention. Will Tian Tian remain the same or the recipe went with Ah Tai? Being a fan of Tian Tian, I have considered that their chicken rice as one of the best in Singapore. With story of Chicken War, it have triggered my curiosity, so this time around I decided to try Ah Tai Hainanese Chicken Rice. Being there at around 2pm, way over the busy lunchtime, there was no queue and service is a brisk. I ordered the one person set for $4. A plate of rice, single serving of chicken and a bowl of clear chicken soup. So how does it taste or how is it different from well-recognised Tian Tian? 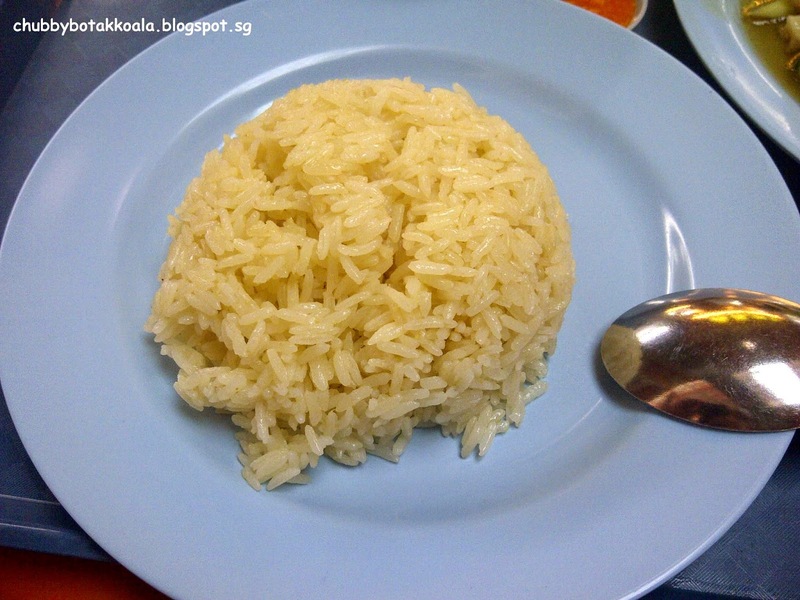 The rice is fragrant, al dante, not oily and full of chicken stock goodness in every grain. Seriously, you can just eat the rice by itself. The chicken is smooth, tender and succulent. The breast meat is juicy and the skin is springy with the right thickness. Although it looks a bit oily, but when you bite into it, you don't feel overwhelm. Yummy!!!! The soup is quite bland, but it goes well with the chicken rice. I actually want to go for a second plate of rice, but since I have a buffet to attend to that night, I decided to stop at one. Overall, Ah Tai Hainanese Chicken Rice is really excellent. They are almost on the same level as Tian Tian. If I am around Maxwell Market, I will really have a hard time to choose which stall to satisfy my chicken rice cravings. I guess the best answer will be, the stall with the shorter queue on the day will be my choice.... Ciao and Show Me My Chicken !!!! Stall 7, Maxwell Food Centre.